Below is a guest post by one of our event sponsors, enjoy. With so many priorities that we have to juggle on a daily basis, an unfortunate reality is that site security is something many of us neglect. Site security can be a lot like insurance. It only becomes a concern when something disastrous happens. The reality is that something disastrous happens to the over 30,000 websites that are hacked each day. For smaller sites, automated solutions to fix hacked sites start at around $200. Those prices obviously rapidly increase based on the size of the site and the severity of the damage inflicted about the hack. There’s also damage control with Google and more importantly the site’s visitors that need to be taken care of. Shouldn’t you do something to help prevent your site from getting hacked? Something many WordPress users turn to in hopes of keeping their sites safe is to load their sites down with plugins. Unfortunately some of these plugins will develop their own vulnerabilities if they are not updated on a consistent basis. Even worse is the fact that many users do not uninstall their plugins that they are not currently using. This is another security concern. Adding all of those plugins can also cause an additional issue with your site; slowing it down! While having an insecure site could end up costing you money, a slow site is definitely costing you money. We know that Google looks at site speed as a ranking factor, but what is the actual cost of a slow loading site? According to a Kissmetrics study, a 1-second page delay in page response can result in a 7% reduction in conversions. That’s $25,000/ year for a site that makes $1000/day. That doesn’t even take into account the impact slow sites have on visitor satisfaction and bounce rates. These numbers make site speed a real concern. At A2 Hosting, we understand you just don’t have a ton of time to optimize your site for speed and security. That’s why we’ve have created our very own WordPress plugin called A2 Optimized to take care of it all for you. A2 Optimized was developed by our team after they tested a number of configurations. They determined the one with the best speed and security settings. A2 Optimized has taken the guesswork out of how to get the best performance while helping to keep your site safe. A2 Optimized WordPress from A2 Hosting offers you a more flexible and affordable Managed WordPress Hosting. This is a sponsored post supplied by one of our primary sponsors Envato. Envato has been a strong supporter of PressNomics sponsoring all 3 events. 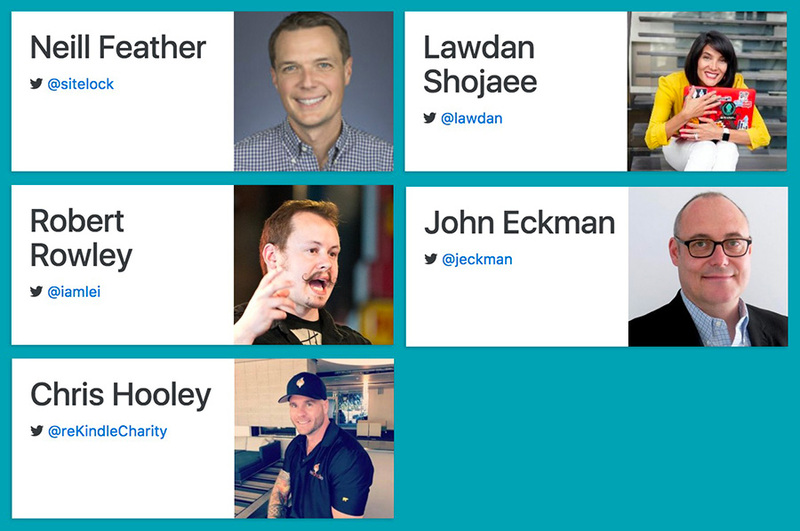 Read on and learn the top 50 New WordPress Plugins of 2014 as curated by them. If you’re looking to add some extra functionality to your site with some of the latest and greatest WordPress plugins, then this is the post for you. There are plugins for adding extra features to WooCommerce, addons for extending Visual Composer, UserPro extensions, plugins for social sharing, for creating an event, for adding parallax scrolling, for creating galleries, sliders or carousels, for calendars, for mega-menus… there really is plugins for everything. Ultimate Addons is an extension that adds many new features, elements and components to Visual Composer. Elements include: Info Boxes, Info Lists, Flip Boxes, Counters, Interactive Banner, Modal Popup Box, Timelines and Extended Google Maps. And on top of all of those elements, Ultimate Addons also comes packaged with a selection of easy-to-use tools for creating parallax (vertical or horizonatal), video, or image backgrounds. The Easy Social Share Buttons plugin for WordPress is an all-in-one social sharing solution that allows you to share, monitor and ultimately increase your social popularity. The plugin also includes 12 native social like, follow and subscribe buttons. The super easy to use Essential Grid plugin allows you to display various content formats in a highly customizable grid. Possible applications range from portfolios, blogs, galleries, WooCommerce shops, price tables, services, product sliders, testimonials, and anything else you can imagine. Composium is a Visual Composer extension that includes 60+ beautiful new elements, including integrated galleries, lightbox & modal popups, custom post types for Teammates, Testimonials & Skillsets, and much, much more. Each individual element and feature can be completely disabled via the plugin settings, saving server and memory load. With touch navigation support, Master Slider for WordPress is an image and content slider that comes with some super smooth hardware accelerated transitions. Ultimate Social Deux is a customizable, easy-to-use WordPress social plugin that won’t slow down your website. It comes with supports for the following networks: Facebook, Twitter, Pinterest, Google+, LinkedIn, Delicious, Stumbleupon, Reddit, Buffer and vkontakte.ru. The Dynamic Pricing & Discounts Woocommerce extension lets you manage product pricing rules and cart discounts very easily. You can run special Christmas, Easter or Black Friday promotions, or even set up clearance or flash sales. With this extension you can set up the most powerful promotions in minutes! Responsive Timetable Schedule is a powerful and easy-to-use schedule plugin for WordPress. It will help you to create a timetable view of your events in minutes. Testimonials Showcase is a plugin for displaying testimonials, reviews or quotes. It comes packaged with two optional layout views: Grid or Slider. As the name suggests, the Real 3D FlipBook plugin will create a flipbook directly from a PDF file, or from a selection of JPEG or PNG images. Just enter the URL(s) and your 3d FlipBook will be automatically generated. Live Composer is a frontend WordPress page builder plugin that allows you to build posts and pages directly on the page, not from within the WordPress backend. WooCommerce Extra Product Options allows you to create extra price fields on your WooCommerce products. The current version supports checkboxes, radio buttons, select boxes, textareas, input boxes, uploads and date. Video & Parallax Backgrounds Visual Composer extension allows you to easily add image parallax scrolling effects and video backgrounds to your WordPress site. The plugin integrates straight into Visual Composer’s row settings, and is flexible to suit your theme’s design. Visual Composer Extensions All In One is a selection of several Visual Composer add-ons that have been bundled together into a single mega-bundle. Chat X is a plugin that allows you to speak/chat directly with your visitors on your website. The Ninja Kick Contact Form is a plugin that adds a responsive contact form, with push/sliding animation effects on every page of your site. MiniGO is a very easy to set up and customize plugin that will create a coming soon or under construction page in less than 5 minutes after purchasing. Gravity Forms Styler is a powerful extension that will create and apply beautiful styles to Gravity Forms’ standard fields, advanced fields, titles and descriptions, buttons, form borders, form labels and form backgrounds. And you can even customize the form confirmation and error messages. Awesome Gallery is a plugin for helping you build nice looking galleries using images pulled from various sources, like posts, attachments, pages, custom post types including WooCommerce products, Flickr, Instagram, Facebook, 500px albums, NEXTGEN Gallery, and even RSS feeds. The Request a Quote WooCommerce extension allows your visitors/customers to add products to a wishlist and submit an easy “request for a quote” from the site owner/admin. This offers a rare opportunity to offer special rates based on the quantity/amount of the order. Private Messages is a useful UserPro addon that allows users to interact with each other better. NEX-Forms Builder is a high quality and easy to use drag and drop/single click form creator for WordPress. It offers a wide range of customizability, flexibility, design and usability that makes online form building a walk in the park. The Mapplic plugin will turn any vector graphic map into a interactive map application that is supported by every major browser and even works perfectly on all mobile devices. The supported map file formats are: JPG, PNG and SVG. Parallax Gravity is a WordPress plugin that allows you to create unlimited landing pages. You can add multiple sections within each page. Dor each section you can set a background, add any type of content including shortcodes from third party plugin,s and much more. The Estimation & Payment Forms plugin will allow you to quickly create a flat and responsive cost estimation popup form that can be used to sell any type of service or products. Bookly is an easy-to-use and manage booking tool for WordPress. The plugin supports a wide range of services. The Web 2.0 Directory plugin for WordPress will allow you to build any kind of business directory site: classifieds, events directory, cars, bikes, boats and other vehicles dealers site, pets, real estate portal… anything! The Indeed Smart PopUp plugin allows you to easily create unlimited popups from within WordPress. And wth more than 100 features, you can truly create any types or style of popup. Directory & Business Finder extends the functionality of Ait‘s Directory WordPress Theme, Business Finder WordPress Theme and Tour Operator WordPress Theme. The Category Accordion WooCommerce extension allows you to list product categories and subcategories in a toggle accordion with expand/collapse options. The Ninja Kick Sliding Panel plugin for WordPress adds a hidden off-canvas sidebar with push or sliding animation on every page of your site. foodpress is an easy to use restaurant menu management plugin for WordPress. You can build unlimited menu items for your restaurant, categorize them by dish/meal type, or build your own custom categories. This plugin offers a very simple method for adding WooCommerce Shortcodes to Visual Composer. The Icon Box extension for Visual Composer will allow you to create nice looking information boxes with icons very quickly. It offers over nine customization possibilities with each of the three pre-designed styles, which means you can create at least 25 different information box designs. The Simple Auctions extension for WooCommerce will quickly add auction features to your site. You can easily make an Ebay clone with regular and reverse auctions along with your regular products. The Booki plugin, with it’s built-in form builder, will create almost any type of booking system within your WordPress site. The Color or Image Variation Swatches WooCommerce extension will convert your normal variable attribute dropdown select to a nice looking color or image select. Media Grid is an Overlay Manager addon that does exactly what it’s name suggests: lets you create and manage unlimited overlays. Once you install this add-on, there will be eight preset overlays waiting to be used or customized. WooCommerce Product Filter is a powerful WordPress plugin that instantly enables your visitors to filter out products. You can create unlimited filter presets and use them with the Product Filter shortcode or to override your product archives. The Product Options plugin will add image, image upload, text, number, number slider, dropdown, calendar, color picker, checkbox and radio options to WooCommerce Products. Kingdom is a plugin that allows you to easily create and customize a WooCommerce store using the theme, and sell anything from Amazon as an affiliate. The Catalog Mode extension can be used to turn a typical WooCommerce layout into a ‘catalog-style’ layout. In catalog mode, the “Add to Cart” buttons are removed, so the shopping functionality will be disabled from the site. Visitors can then just view your products and its details. With the Bulk Edit Product Variations plugin you can bulk edit simple or variable WooCommerce product fields such as SKU, Stock, Regular Price, Sale Price, Weight, and Height. Suppamenu is a responsive, customizable and powerful Mega Menu plugin for WordPress. The Product Badge Management plugin gives you complete control over the badges from your WooCommerce store. You can define and design a badge for: single products, single categories, multi-categories, store-wide, and much more. Forms Manager is an Event Booking Pro extension that allows you to create custom event forms using an easy to use interface. User Bookmarks is a UserPro extension that allow users to bookmark any content they want, categories, posts, forum topics, custom posts, and also manage their bookmarks into collections. Congratulations to everyone that made it into our top 50! Hopefully we will be including many of you next year! The team at MOJO, based in Salt Lake City, recently announced they joined the EIG group. Their library of themes and plugins are now integrated in the hosting panels of HostGator and Bluehost. That is by definition: Winning. We would like to welcome then onboard as a commercial sponsor to PressNomics. I as I am sure all of you look forward to hearing their story. MOJO Marketplace is the webs one-click marketplace for themes, plugins, installations and more. MOJO is fully integrated with the leading web hosting companies so that customers can browse, shop and installs easily with one-click. Our goal is to change the way people buy, sell and install the latest themes, plugins, and applications on the internet. Posted in Event News, Sponsor Introductions | 1 Comment on Welcome MOJO Marketplace as commercial sponsor for PressNomics. Posted in Sponsor Introductions | 1 Comment on Welcome Hosting company SiteGround as a commercial sponsor. If you were lucky enough to attend PressNomics last year, one of the highlights was the great presentation Mikkel Svane, the CEO of Zendesk did on friday morning. He shared the journey of starting from nothing but an idea to the amazing success Zendesk enjoys now and care involved in the building the company culture along the way. We use Zendesk daily in our business, we depend on it to provide support to our thousands of customers. We feel it is the best support desk software available. Please help us welcome them back as a commercial sponsor. Zendesk is the proven cloud-based help desk software that is the fastest way to enable great customer service in rapidly growing companies. Loved by support teams and their customers worldwide. More than 15,000 organizations including Adobe, Sony, and Groupon, trust Zendesk. Posted in Event News, Sponsor Introductions | 2 Comments on Hooray Zendesk! Please welcome them back as a sponsor. Welcoming Windows Azure as a commercial sponsor. Windows Azure is an open and flexible cloud platform that enables you to quickly build, deploy and manage WordPress sites across a global network of Microsoft-managed datacenters. Build your WordPress sites on Windows or Mac OS X. You can choose to deploy to our managed Windows Azure Web Sites with native MySQL using FTP or GIT or you can deploy to your choice of 3 flavors of Linux. Microsoft’s global data center presence and ensures you can scale your WordPress site up or down to meet your needs. Whether creating new WordPress Sites or enhancing existing sites, Windows Azure lets you take your ideas to market faster and respond quickly to changes in business and your business needs. Posted in Sponsor Introductions | Leave a Comment on Welcoming Windows Azure as a commercial sponsor. 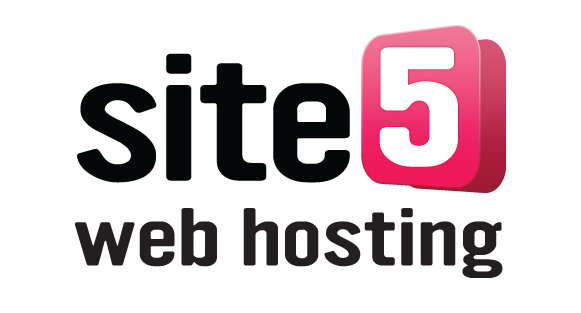 We are very happy to have Web Hosting company Site5.com on board as a C level sponsor. I met these guys last year in SF and we chatter over a beer or 5. 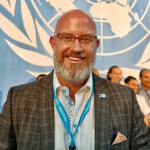 Happy to have Ben and his team on board. Big thanks to Site5 and all our sponsors. Site5 provides fully managed web hosting built upon a global platform. Choose from over 17 locations around the world with more being added all the time. Start with an inexpensive web hosting plan and scale up to a powerful fully managed virtual server as your needs grow. All backed by a support team whose face you can see on every support ticket and chat. 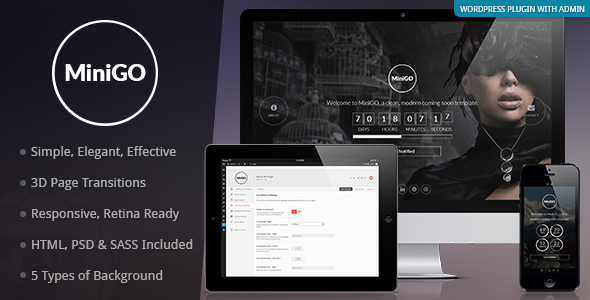 Try our free trial and once you are convinced we will migrate your website to Site5 for free!